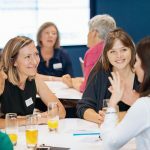 Women in Sustainability is coming to Glasgow! 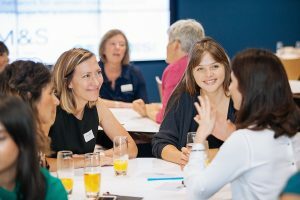 At last the Women in Sustainability Network is coming to Scotland, with our first Hub in Glasgow. Our first event is now planned for 2nd May and Katy Murdoch, our fabulous WINS Glasgow Lead, is continuing to identify other host venues and create the Hub programme for 2019. If you’d like to help in anyway, whether your organisation would like to host an event, volunteer support or just join the mailing list for early notification of the first event, do get in touch with Katy (details below). We look forward to seeing you on 2nd May! 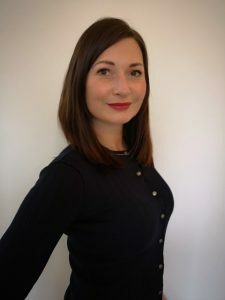 In 2014, Katy did an MSc in Carbon Management at The University of Edinburgh, where she built a niche looking at the business drivers for corporate sustainability. Since then, she has worked at the interface in an environmental consultancy and helped over 400 business cut their carbon emissions. Her company, Sustainability Sense Limited, set up in 2018, works with business to create bold and ambitious sustainability strategies that they can place at their core. Prior to changing career paths, Katy worked in TV production, managing large documentary shoots. She understands that influence starts with listening and relationship building. Used to collaborating across her different careers, she thinks partnerships and networks are central to the future of work. Since starting her own business, Katy is finding time and energy to walk the more remote munros. Join us for our first WINS event in Glasgow, kindly hosted by Strathclyde University. We’ll be exploring how you can develop your career, at whatever stage you are at, whether you are starting out, looking for your next role or..